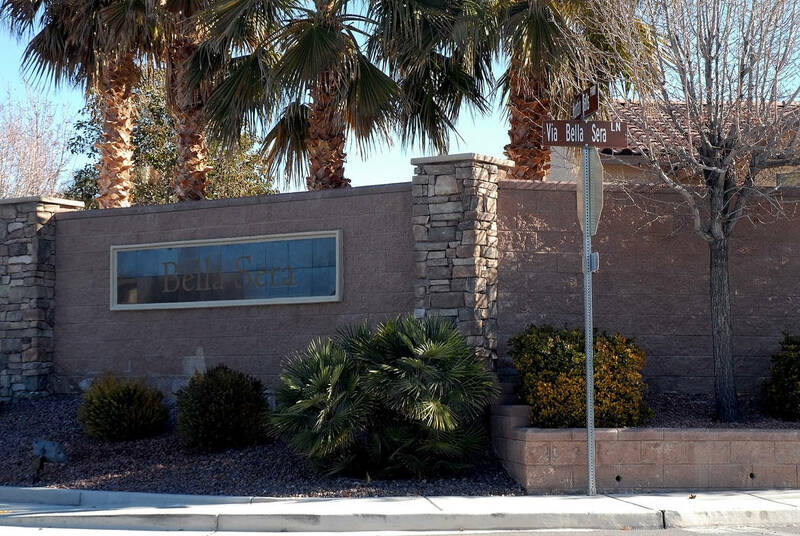 Mountain Falls is slated to get 145 new residential lots after Pahrump Regional Planning Commission approved a tentative subdivision map at its meeting on Wednesday. Horace Langford Jr. /Pahrump Valley Times Mountain Falls Planning Area 8 is set to receive 145 new residential lots after Pahrump Regional Planning Commission approved a tentative subdivision map at the meeting on Wednesday. William Lyon Homes, a developer, received an approval of its tentative subdivision map for Mountain Falls Planning Area 8 on the southwest side of the development that is adjacent to the pro shop parking lot. The proposed tentative subdivision is currently not in conformance because mapping action requires a merger and resubdivision map to be approved and recorded before a final map for any part of Planning Area 8 can be recorded. Brad Nelson, who represented William Lyon Homes at the Wednesday meeting, said the tentative map is still in the works. “I think everything is straightforward. We spent a lot of time with the team to navigate through the challenges and stuff, I think we feel pretty good about where it’s headed,” Nelson said. Map approval is typically a two-step process that involves approval of a tentative map and recordation of a final map. A step between the tentative and final map will be the recording of a merger resubdivision map to conform the boundary of Planning Area 8 to the areas that are actually being mapped, the documents said. At the meeting on Wednesday, officials removed several conditions of approval such as resolving concerns about street width and intersection configurations and a requirement for utility boxes and vaults to be installed within the utility easement and not in Nye County right of way. “I think the issue regarding design standards has been resolved. We are getting to the same page,” Nye County Planner Cheryl Beeman said. The property is subject to a development agreement between Nye County and Mountain Falls Acquisition Corp., that is valid and in effect until Dec. 31, 2030, according to the documents. Planning Area 8 is an age-qualified planned residential area. According to the tentative map, the average lot size is 6,323 feet, while a minimum lot size is 4,773 square feet, and a maximum lot size is 10,455 square feet. “Some of those very issues of parking that we had discussed for the other age-qualified communities may not be as exacerbated here because we have small thumb streets, four parking spaces per lot,” Beeman said. As part of the approval, officials also scrapped a waiver of design standards conditions of approval.